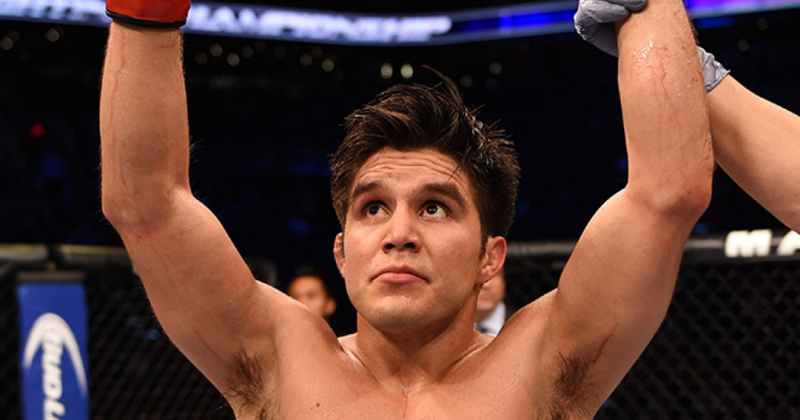 Henry Cejudo: "It would be good to give next flyweight title shot to somebody other than Mighty Mouse"
Just a couple of weeks ago at UFC 227, Henry Cejudo did the impossible and upset Demetrious Johnson to become the new UFC flyweight champion. Not only that, but Cejudo also became the man to end Johnson’s seven-year reign as champion. Now with his newly won belt in toe, comes the obvious question after any major title change, who’s next? Well, according to the UFC, that question may have already been answered as plans are immediately being made for a potential Cejudo-Johnson trilogy. While most UFC fans would agree Johnson deserves a third title fight, the new UFC flyweight champion feels otherwise. Though he doesn’t dispute the fact “Mighty Mouse” isn’t worthy of one more shot at his title, he does feel however, that being the 135 lbs. division struggled with formidable contenders during Johnson’s reign, it’s time to give somebody other Johnson, an opportunity to win the flyweight gold. “I would agree when it comes to the statistics side of it,” Cejudo said of a Mighty Mouse rematch on the Ariel Helwani MMA Show (transcript via MMAMania). “But at the same time, I know what the UFC’s trying to create, man. I had to wait two and a half years to face Demetrious Johnson. Who do you think deserves a shot at Henry Cejudo’s UFC flyweight championship if not Mighty Mouse?